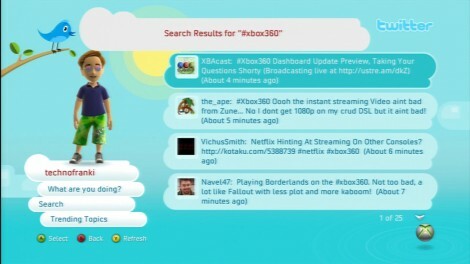 I assigned to the Xbox Live preview update for Xbox 360 and got into the first wave on October 22. 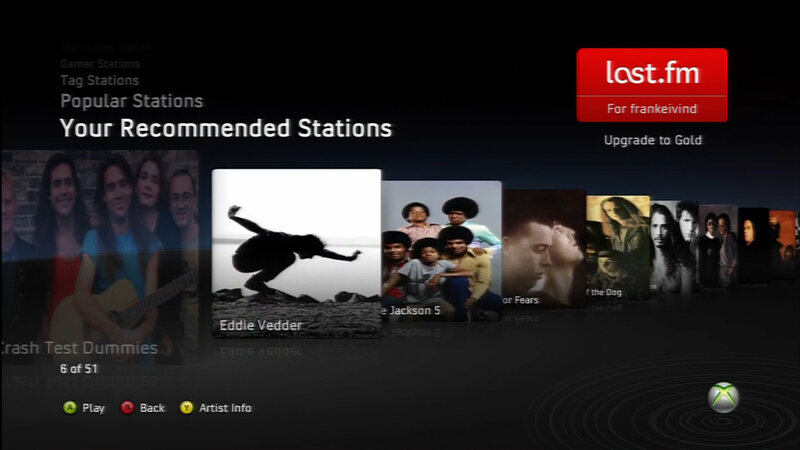 Updated the Xbox with this falls big updates, which gives you Facebook, Twitter, Zune Video store and Last.FM (but only in US & UK) right on your Xbox 360. The update will go live for everyone sometimes in November. This is a preview release, so functions can changed or added I guess. In the YouTube-video bellow, you can watch my recordings done with my Hauppauge HD-PVR. It was recorded at 1080i and downconverted to 720p before uploading it to YouTube. Zune Video store is the greatest news for me. Up until now only US and 5-6 selected countries in Europe had the option to rent movies on Xbox 360. With this update, 18 countries (including Norway) have the advantage to rent online. And best of all, you can stream movies in 1080p (not every movie, but some). 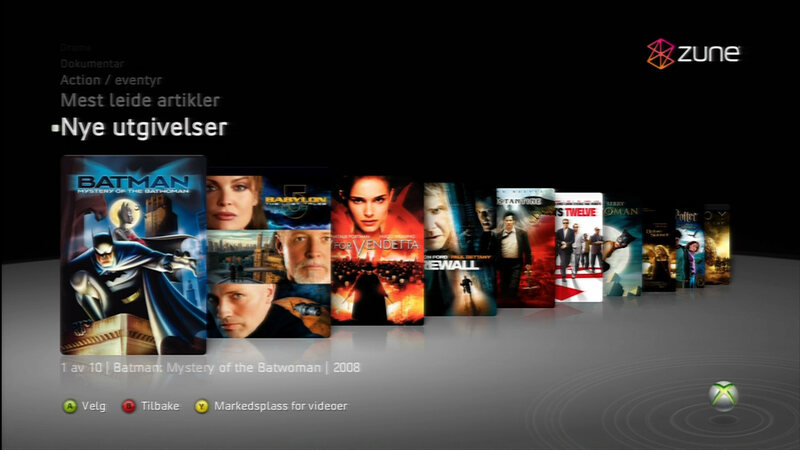 As of now, 89 movies are available for streaming/downloading in Norway. Not a lot, but we had zero, so it’s a start. When this is update goes public, I guess we will have more movies. Of the 89 movies, 19 are in HD. SD movies are priced at 350 Microsoft points, and HD are 470. But this price will probably vary at bit if the movies are new or old. The 19 HD movies are: Absolute Power, Constantine, Eyes Wide Shut, The Fugitive, Full Metal Jacket, Harry Potter and Chamber of Secrets, Harry Potter and the Philosopher’s Stone, Harry Potter and the Prisnoer of Azkaban, The Last Samurai, The Matrix, The Matrix Reloaded, The Matrix Revolutions, Ocean’s Eleven (2001), Ocean’s Twelve, Pee-Wee’s Big Adventure, Three Kings, Training Day, Troy – Director’s Cut, V for Vandetta. I have a 12Mbit connection had watched Three Kings in HD. The quality was very good. When started, it buffered for a few seconds and played fine without any hickups for the whole movie. It was a great experience. I will definitivly rent more movies. Very easy, and the price is OK too. You can do almost everything with Facebook on the 360 as on the PC, almost. 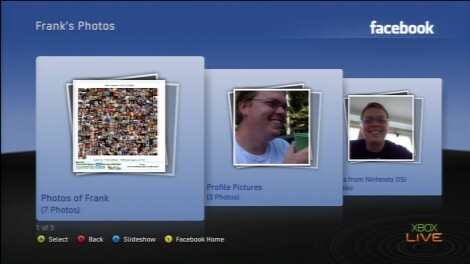 You can read news feeds, update your status, watch your pictures and your friends pictures. 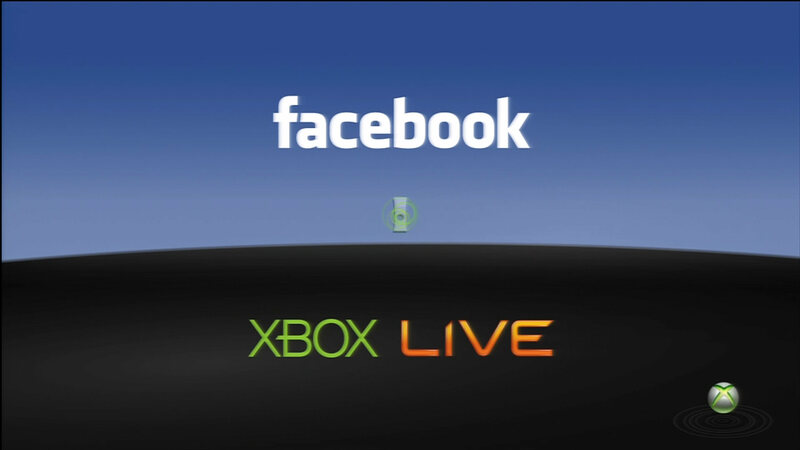 You can check whick of your Facebook friends who are on Xbox Live and vica versa. But there is no inbox. So you can read messages sendt to you. 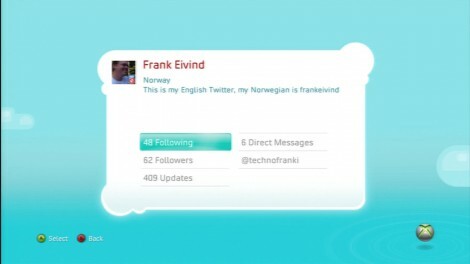 With Twitter you can see the 50 last tweets from the people you’re following. You can write your own tweets, do search and see trending topics. I works well, but it will take ages to type in those tweets with your controller, even if it’s only 140 letters. Now is the time to get that Messanger kit/chatpad (check Amazon.com, Amazon.co.uk or Play-Asia.com), it makes it much easier to type. I haven’t tested Last.FM since that service is only available in US and UK. 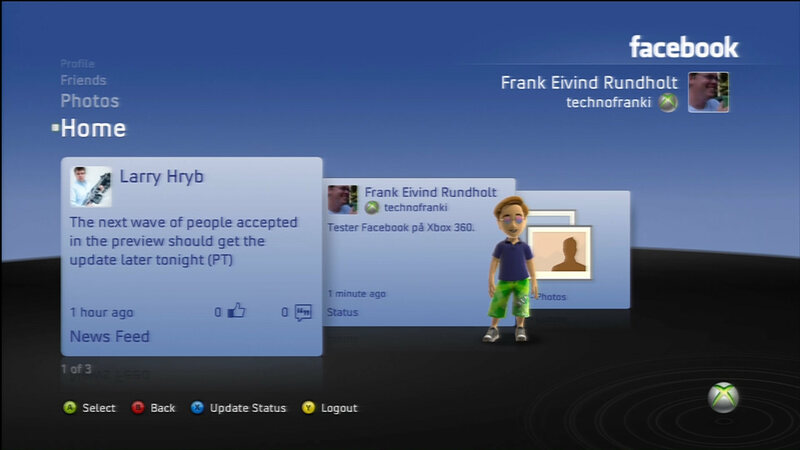 But it lets you stream music on the Xbox 360. I used my US account the get the picture. I’ve only been testing it for a couple of days, and it looks promising. It’s cool to have Facebook and Twitter on Xbox 360, but I can’t see that I will use it on a regualar basis. Both Facebook, Twitter and Last.FM can be used when you’re in the Dashboard. It cannot be used ingame. And for now, Last.FM is for the US and UK only. The feature I will be using most is the Zune video store. 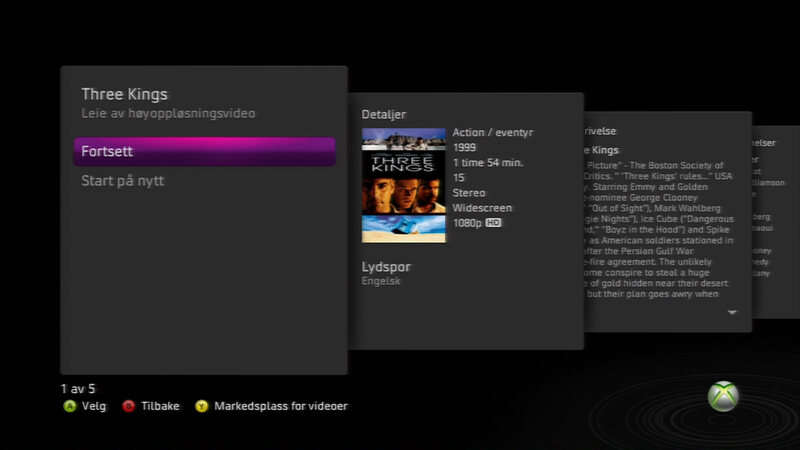 For the first time, people in Norway and 11 other countries (18 in total) can enjoy movie rental on Xbox 360. 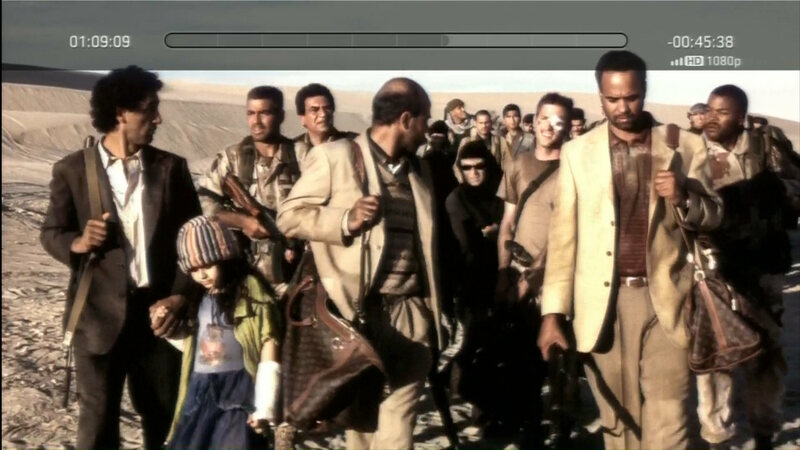 Streaming movies at 1080p work very well. I have a 12Mbit connection and would like to hear from you with lower bandwidth and how it worked for you. All in all, a good upgrade to the Dashboard. If you use the screenshots, please link back to this post. Creative Commons Attribution-Share Alike 3.0. 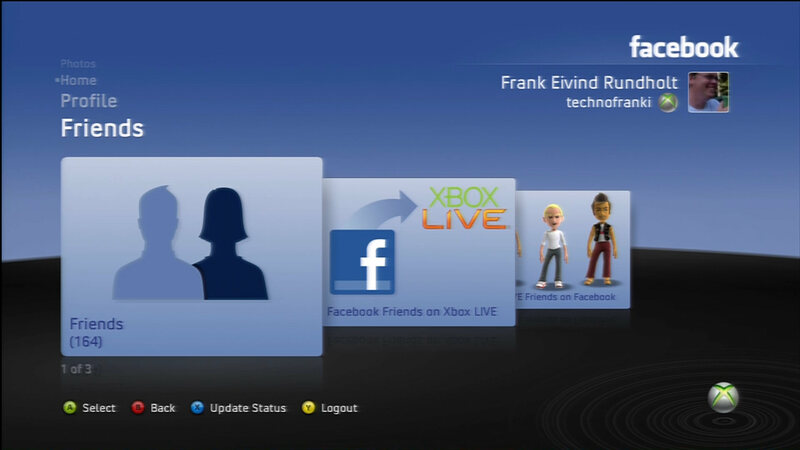 It’s getting closer to the next Xbox 360 Dashboard update. The new firmware will bring you four new services to the Xbox. 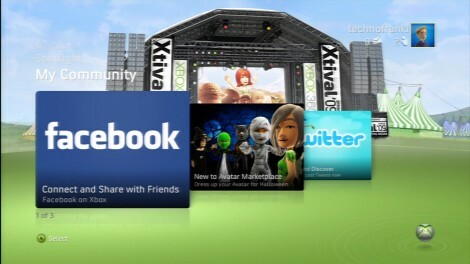 It will let you use Facebook, Twitter, Last.fm and Zune from the Xbox 360 Dashboard. According to Xbox UK the update will come on November 17. Also there will be a public beta end of this month. 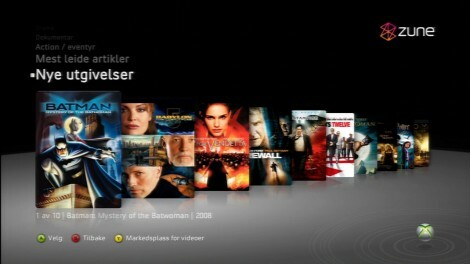 If you live in UK, you will also get the Sky Player sometime this fall, which will let you watch TV on the Xbox. If you are a heavy user of Facebook and/or Twitter, now is the time to invest in Xbox 360 Messenger Kit for text typing. I’ve been using it close to a couple of years now and it’s way better to type text than useing the controller. 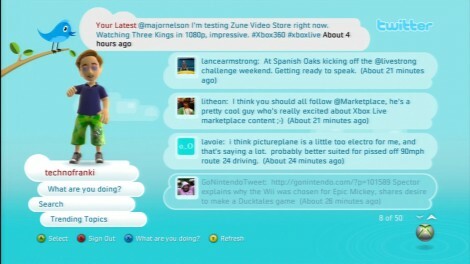 For an indepth preview of the new services, you can check out Joystiq.com or watch the video from Engadget.com below. You now have a chance to “Design a unique t-shirt and win the chance to show it off exclusively on your Avatar“. The competition is open to the following European countries: Austria, Belgium, Denmark, Finland, France, Germany, Italy, Netherlands, Norway, Portugal, Spain, Sweden, Switzerland and United Kingdom and the Republic of Ireland. The submited file to avatar@wearegt.com have to be in JPG or PDF format and not greater than 4MB, closing date is 17:00 CET on 21 September 2009. 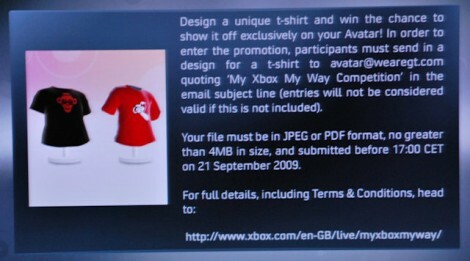 For more info, go to xbox.com/en-GB/live/myxboxmyway, Terms & Conditions. The Xbox 360 Dashboard will get a new update on August 11, and will have some new features. You could apply for an early preview and some at Joystiq.com got one and made a video of the new update. I wasn’t able to apply this time since I’m on holiday, but August is not that far away. I follow Major Nelson (aka Larry Hryb) on Twitter. 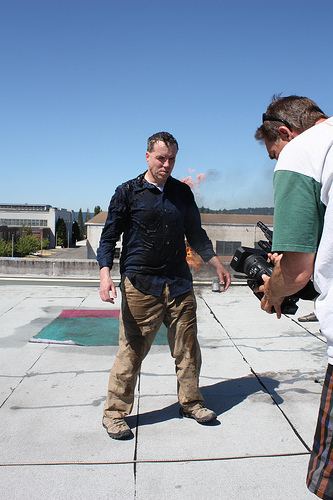 He wrote that he was shooting some videos for an upcoming Inside Xbox video where he was set on fire. 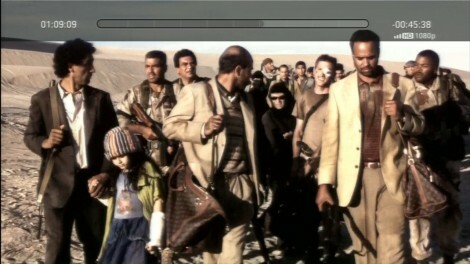 The pictures look cool, and I guess the video will too which will air in a few weeks. On his Flickr page he wrote that “I was trained by professionals and had licensed safety professionals standing by.” and “Do not try this at home!“. 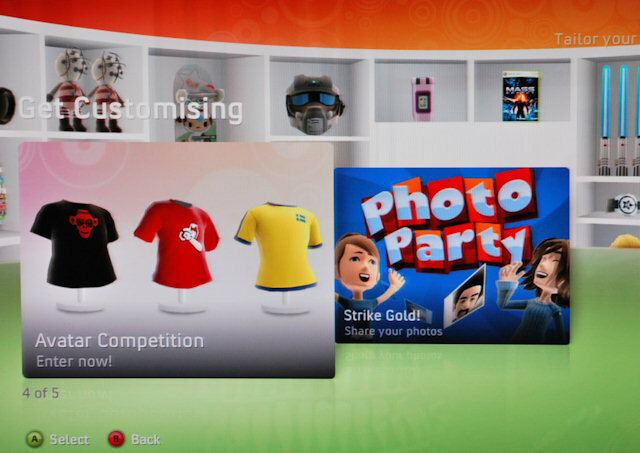 You can now make your own games on Xbox 360. OK, maybe not the most advanced once, but you can download Kodu which is a community game that lets you make new games. Joystiq have taken a look at the game and made a video which you can watch bellow.